CRM is a powerful software that allows you to centralize customer information. Today, CRM is not only used for commercial relations and the management of sales representatives' activities. Most CRM offer more advanced functionalities such as social selling, chatbot integration, customer portal, marketing automation implementation,...... for example. It is unthinkable today to do without software to modernize the way companies work, their business development and their relationships and interactions with customers. There is a lot of software available on the software market. How to find the ideal software? How can you be sure that it corresponds to what the company needs? Our first advice is to do some research by yourself to get a first idea, to ask around you what software is used, to test software online. 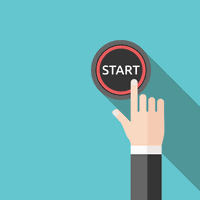 But becoming a CRM expert takes time, and you will never have enough time to try all the software! This is why our second advice is to contact a CRM expert who can advise you on the best software, and especially on the software that will best meet the company's needs. It should also be taken into consideration that the choice of CRM is important but that the way in which CRM will be configured and customized is just as important. Hubspot CRM is a CRM software that is more suitable for small structures than large ones. It optimizes the commercial management of companies: lead management, business monitoring, dashboards, pipeline. Microsoft dynamics CRM is a software that improves sales productivity and marketing effectiveness. The advantage of using a Microsoft tool is that it integrates perfectly with other Microsoft tools. SugarCRM is a CRM software that makes customer relations extraordinary. It allows you to manage all customer interactions: prospect management, sales, marketing, pipeline and customizable dashboards. Its advantage is that it is extremely customizable. Zoho CRM helps companies sell smarter, more efficiently and faster. it is a multi-channel CRM software: email, chat, phone, social networks. With precise graphs and pipiline. Odoo CRM is part of a suite of business management software applications that can be combined with ERP, HR management, inventory management, etc.... The CRM app is powerful and can be customized. This list shows some CRM software that are not ranked in order of efficiency. There are several types of software, for any budget and any need. There are other equally powerful CRM software that are not in this list. Our last advice before choosing CRM software is to list your needs and make sure that the software you choose meets your needs within the budget you have set for yourself. 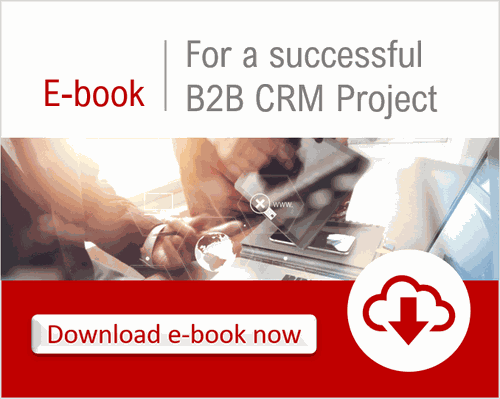 Download ebook "For a successful B2B CRM project"